Flo presents Gea, a new generation of coffee capsules developed with NatureWorks | Comunicación | FLO S.p.A. The new capsule is the first in the world, 100% biobased, that combines compostability, oxygen barrier, and an improved taste and aroma experience for the consumer. A fully compostable capsule provides an elegant and simple system for delivering the valuable used coffee grounds to industrial compost. Compared to compostable capsules currently on the market, the new Gea capsules address market requests for material ageing stability in an industrially compostable format. “Being able to count on a capsule that does not show signs of ageing in a few months, but is shelf stable for years, is a huge value for coffee roasters,” - explains Erika Simonazzi-. “Roasters should be focused on their coffee, not the packaging it is packed in. NatureWorks’ unique analytical and engineering capabilities together with Flo’s know-how in thermoforming technology, were critical to developing this solution." 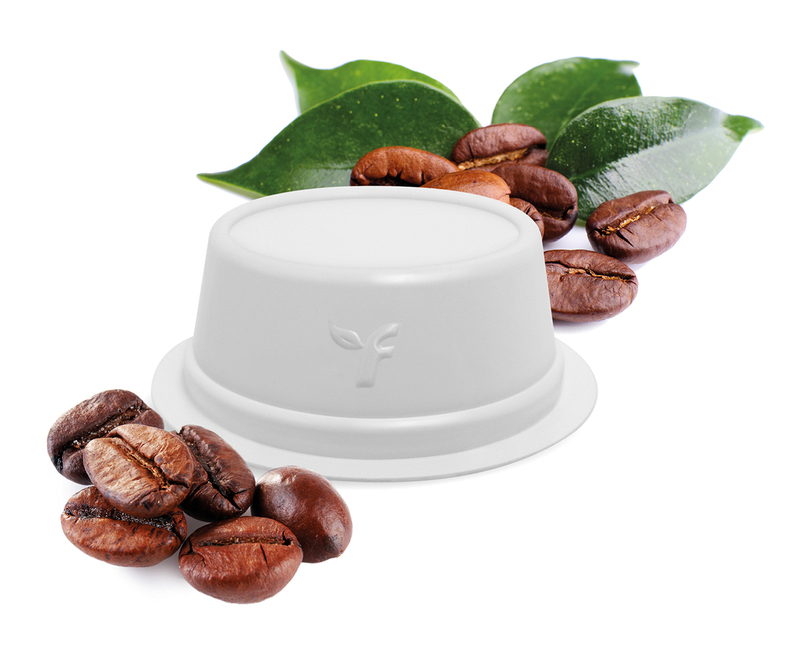 Gea capsules also are an excellent barrier to oxygen, which protects the organoleptic qualities of the packaged coffee. The taste and aroma of the coffee are preserved, satisfying the needs of coffee roasters while ensuring an enhanced brewing experience for consumers. Initially targeting the demanding requirements of high pressure, single serve coffee systems, the Gea capsules have successfully passed the industrialization and filling tests at Flo's major partner coffee roasters and will be available on the market starting in October 2018. To learn more about the technology behind the new Gea coffee capsules, join Flo for their presentation at Innovation Takes Root, NatureWorks’ Advanced Biomaterials Forum, in San Diego, CA, September 2018.